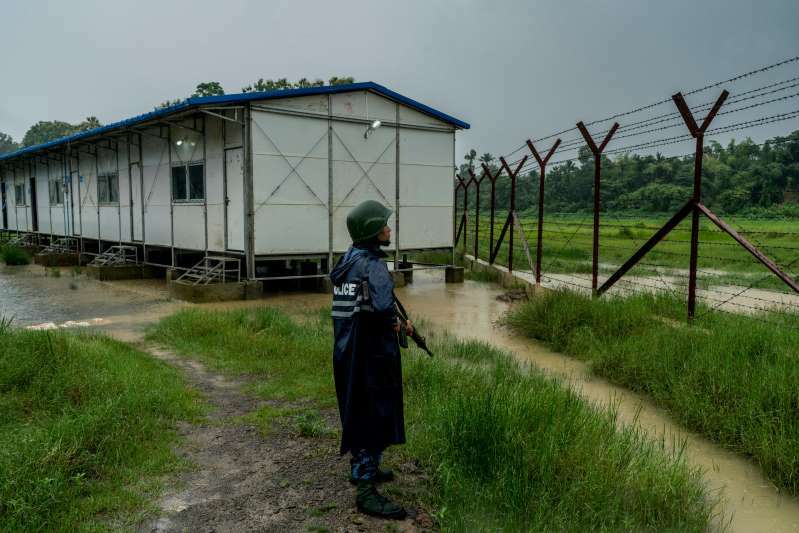 © Adam Dean for The New York Times A border police officer stands guard at a repatriation center for Rohingya returning to Myanmar. Human rights groups blame anti-Rohingya propaganda online for fueling violence and displacement. Working in shifts out of bases clustered in foothills near the capital, Naypyidaw, officers were also tasked with collecting intelligence on popular accounts and criticizing posts unfavorable to the military, the people said. So secretive were the operations that all but top leaders had to check their phones at the door. The previously unreported actions by Myanmar’s military on Facebook are among the first examples of an authoritarian government’s using the social network against its own people. It is another facet of the disruptive disinformation campaigns that are unfolding on the site. In the past, state-backed Russians and Iranians spread divisive and inflammatory messages through Facebook to people in other countries. In the United States, some domestic groups have now adopted similar tactics ahead of the midterm elections. Digital fingerprints showed that one major source of the Facebook content came from areas outside Naypyidaw, where the military keeps compounds, some of the people said. Some military personnel on the effort suffered from low morale, said two of the people, in part because of the need to spread unfounded rumors about people like Daw Aung San Suu Kyi, the Nobel laureate and Myanmar’s de facto civilian leader, to hurt their credibility. One hoax used a real photo of Ms. Aung San Suu Kyi in a wheelchair and paired it with false suggestions that she had gone to South Korea for Botox injections, the people said. The Facebook page of the sniper, Mr. Ohn Maung, offers one example of the military’s tactics. It gained a large following because of his descriptions of the day-to-day life of a soldier. The account was ultimately taken over by a military team to pump out propaganda, such as posts portraying Rohingya as terrorists, said two of the people. One of the most dangerous campaigns came in 2017, when the military’s intelligence arm spread rumors on Facebook to both Muslim and Buddhist groups that an attack from the other side was imminent, said two people. Making use of the anniversary of Sept. 11, 2001, it spread warnings on Facebook Messenger via widely followed accounts masquerading as news sites and celebrity fan pages that “jihad attacks” would be carried out. To Muslim groups it spread a separate message that nationalist Buddhist monks were organizing anti-Muslim protests. Facebook said it had found evidence that the messages were being intentionally spread by inauthentic accounts and took some down at the time of the incident. It did not investigate any link to the military at that point. The military tapped its rich history of psychological warfare that it developed during the decades when Myanmar was controlled by a military junta, which gave up power in 2011. The goal then was to discredit radio broadcasts from the B.B.C. and Voice of America. One veteran of that era said classes on advanced psychological warfare from 15 years ago taught a golden rule for false news: If one quarter of the content is true, that helps make the rest of it believable. “It was very systematic,” said Mr. Moe Htet Nay, adding that other Facebook accounts reposted everything that the blog wrote, spreading its message further. Although Facebook has taken the page down, the hashtag #Oppositeyes still brings up anti-Rohingya posts.